And the “Harvest Season” requires harvest food. Recently, we attended the wedding of one of our favorite couples. The wedding and reception were held at a beautiful location, with red, yellow and orange foliage serving as the perfect fall backdrop. The meal was fabulous, but the piece de resistance was the Butternut Squash Soup ~ the perfect Harvest Season soup! It was so rich and yummy that I committed to making some within the next week. Here’s the recipe in time for you to prepare and serve with your Thanksgiving meal. Add the garlic and cook until fragrant, about 1 minute. Add the squash and the broth. Bring to a boil. Cover, reduce heat to a simmer, and cook until the squash is very tender, about 20 minutes. Return the soup to the pot, add more salt to taste and ¼ cup of brown sugar. 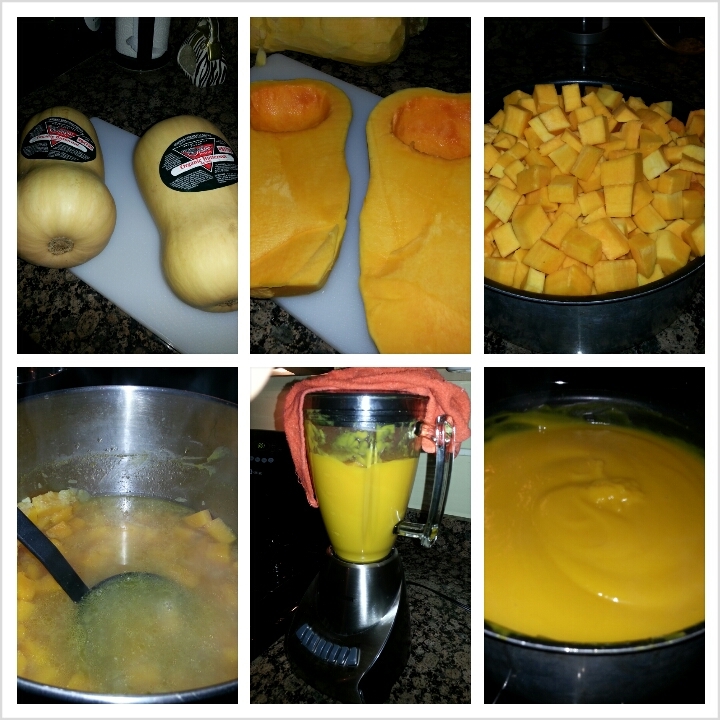 Makes 4 to 6 servings Perfect Butternut Squash Soup. Here’s a tip. Unless you purchase the squash pre-cubed, the prep time is longer than 50 minutes. I suggest purchasing it already cubed. Other than that, the recipe is simple and the soup turns out wonderfully. We enjoyed the soup with a glass of Prosecco. 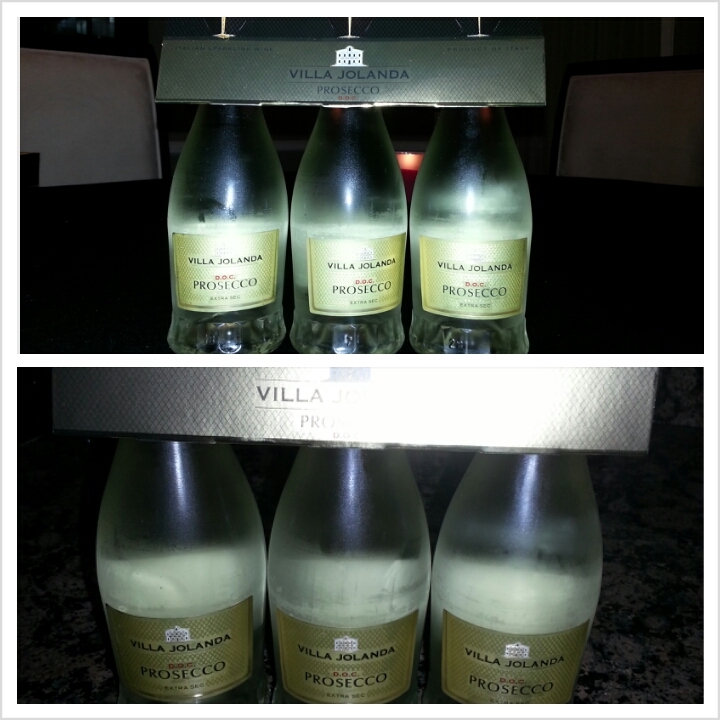 I know, not a very Harvest Season libation, but we wanted to try these cute Villa Jolanda Presseco splits found at our local winery. Leave me comment and as Donna Brazille says, let me know “what’s on your menu.” Have a Safe and Blessed Harvest and Thanksgiving Season! « Thinking Orange & Black Today … We’re Still Thinking Pink (WellChick)! Thanks Lynn. You sure looked pretty Sunday in those pants and top. Loved the ponytail. Thank you Mommy Laura! Can you believe it was a jumpsuit? I purchased it at a vintage sale. Sounds delicious! Mommy will try it soon.